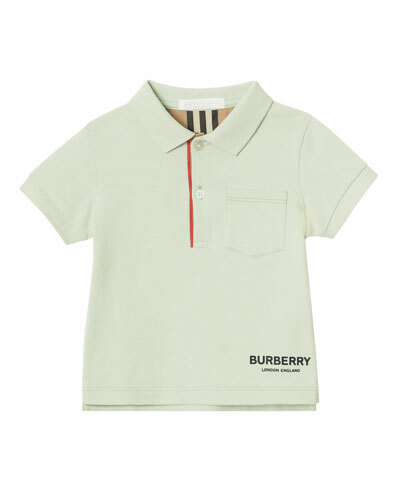 Effortless cool plucked right from Burberry’s signature grown-up fashions makes Burberry for boys a must-have for your wonderkid. 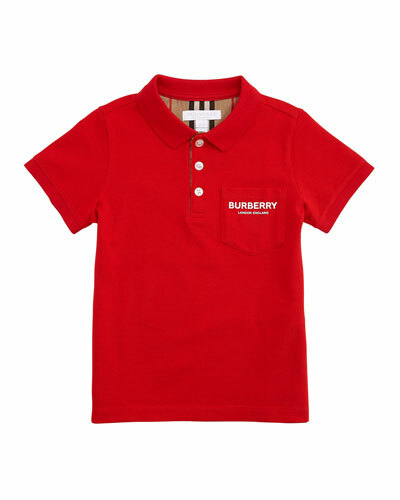 Dressed in Burberry boys’ clothes, fun-loving and adventurous lads can explore the world with confidence and style. From iconic check shirts and straight-leg jeans to colorful polos and classic chinos, you’ll find them all in the Burberry boys’ collection at Neiman Marcus. Each piece is crafted with the same attention to detail that has made Burberry beloved for more than 160 years. 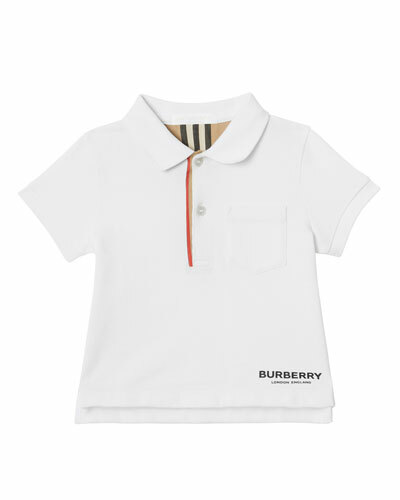 Whether he’s a wild child or an old soul who seems wise beyond his years, Burberry boys’ clothes are perfect for school, outings with mom and dad, hanging out with friends, and more. 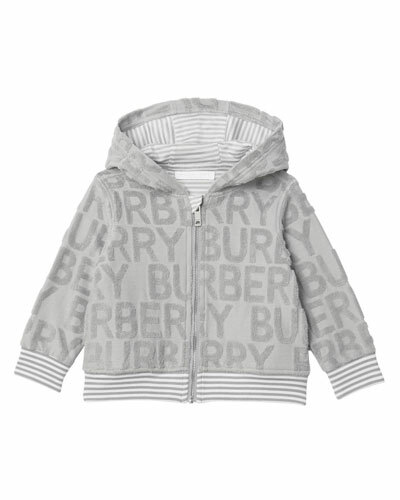 Vibrant colors, bold patterns and clever accents add charm to every piece of Burberry boys’ clothing. 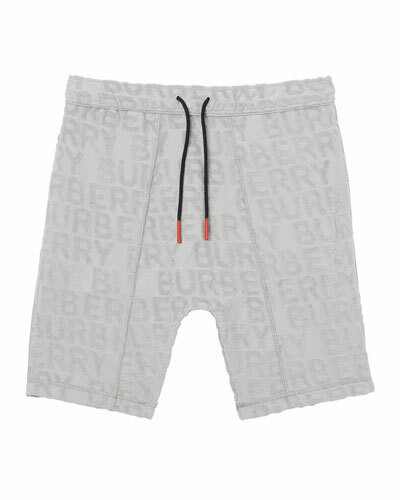 Your little man may be too busy building gadgets, chasing lizards, or falling for his first crush to think about what he’s wearing, but with Burberry for boys, he can always look great and be comfortable. 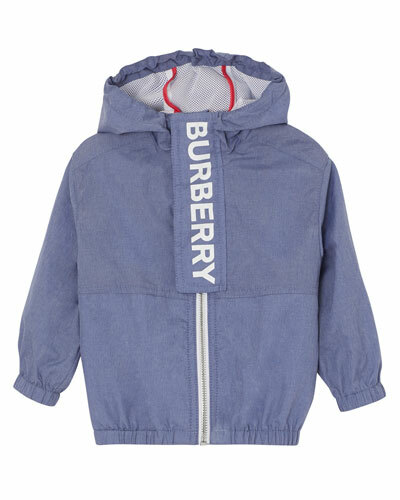 See our entire collection of boys’ Burberry clothes at Neiman Marcus. 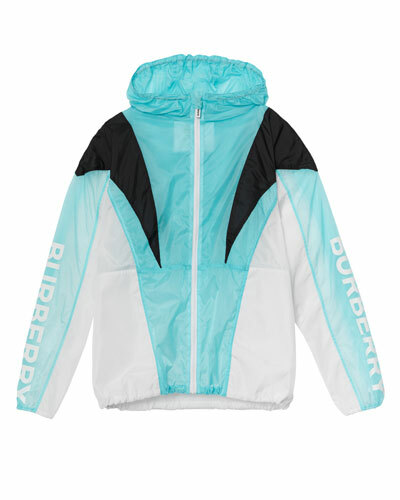 Burberry "Austin" wind jacket. Elasticized hood edge, cuffs, and hem. Hooded collar. Long sleeves. Zip front with logo printed snap placket cover. Nylon/polyethylene. Imported. Quilted "Ilana" jacket by Burberry. Spread collar with hood. Long sleeves. 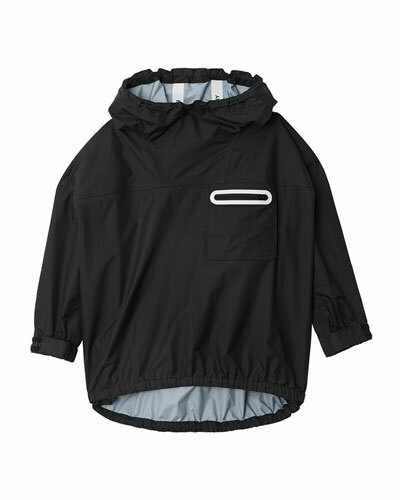 Snap placket conceals zip front. Flap-snap pockets at front. Quilted "Ilana" jacket by Burberry. Spread collar with hood. Long sleeves. Snap placket conceals zip front. Flap-snap pockets at front. Relaxed fit. Straight hem. Nylon. Imported. Polo shirt with signature check by Burberry. Spread collar; three-button front. Short sleeves with banded cuffs. Striped chest with signature check. Signature equestrian embroidery at left. Straight hem. Relaxed fit. Cotton. Imported. Burberry polo shirt in cut-up stripes. Spread collar; three-button placket. 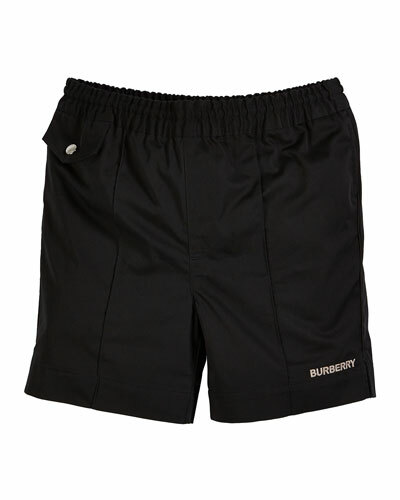 Burberry signature Equestrian Knight embroidery at left chest. Vented hem. Burberry polo shirt in cut-up stripes. Spread collar; three-button placket. Burberry signature Equestrian Knight embroidery at left chest. Vented hem. Pullover style. Cotton. Imported.